A comprehensive analysis of membrane and morphology of erythrocytes from patients with glucose-6-phosphate dehydrogenase deficiency. Fang Z, Jiang C, Tang J, He M, Lin X, Chen X, Han L, Zhang Z, Feng Y, Guo Y, Li H, Jiang W.
J Struct Biol. 2016 Jun;194(3):235-43. doi: 10.1016/j.jsb.2015.10.015. Epub 2015 Oct 20. PMID: 26496826 Similar articles Select item 23170010 110. 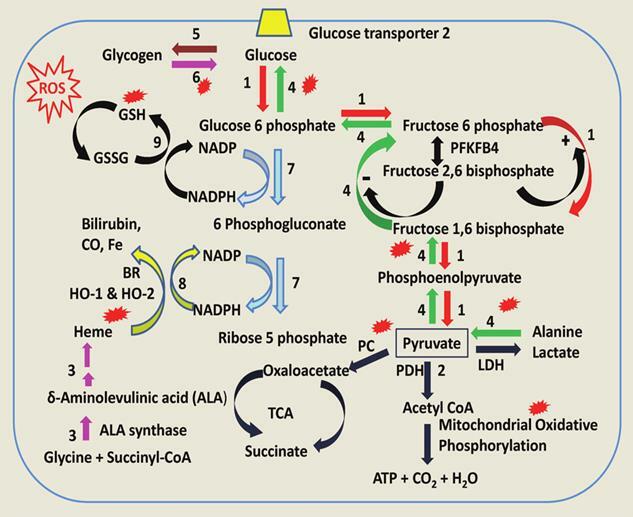 Glucose 6-phosphate dehydrogenase deficiency increases redox stress and moderately accelerates the development of heart failure. Hecker PA, Lionetti V, Ribeiro RF Jr, Rastogi S, Brown BH, O'Connell KA, Cox JW, Shekar KC, Gamble DM, Sabbah HN, Leopold JA, Gupte SA, Recchia FA, Stanley WC. Circ Heart Fail. 2013 Jan;6(1):118-26. doi: 10.1161/CIRCHEARTFAILURE.112.969576. Epub 2012 Nov 20. PMID: 23170010 Free PMC Article Similar articles Select item 2591977 111. A new glucose 6-phosphate dehydrogenase variant (G6PD Thessaloniki) in a patient with idiopathic myelofibrosis. Koliakos G, Kalomenopoulou M, Grammatikos P, Dimitriadou A, Kouzi-Koliakos K, Zacharaki R, Skaragas G, Kokka A, Trakatellis A.
PMID: 2591977 Similar articles Select item 28754279 112. 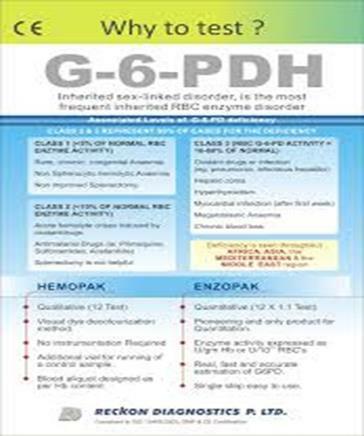 [G6PD deficiency in females with neonatal revelation. Report of four cases]. Renault A, Mitanchez D, Cortey A.
Arch Pediatr. 2017 Sep;24(9):865-871. doi: 10.1016/j.arcped.2017.06.002. Epub 2017 Jul 25. French. PMID: 28754279 Similar articles Select item 21380594 113. Increased prevalence of proliferative retinopathy in patients with type 1 diabetes who are deficient in glucose-6-phosphate dehydrogenase. 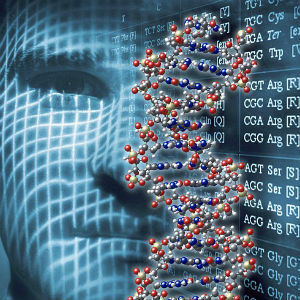 Cappai G, Songini M, Doria A, Cavallerano JD, Lorenzi M.
Diabetologia. 2011 Jun;54(6):1539-42. doi: 10.1007/s00125-011-2099-3. Epub 2011 Mar 5. PMID: 21380594 Similar articles Select item 22738400 114. Frequency of glucose-6-phosphate dehydrogenase-deficient red blood cell units in a metropolitan transfusion service. Francis RO, Jhang J, Hendrickson JE, Zimring JC, Hod EA, Spitalnik SL. Transfusion. 2013 Mar;53(3):606-11. doi: 10.1111/j.1537-2995.2012.03765.x. Epub 2012 Jun 28. PMID: 22738400 Free PMC Article Similar articles Select item 1824550 115. Screening for glucose-6-phosphate dehydrogenase deficiency as a preventive measure: prevalence among 1,286,000 Greek newborn infants. PMID: 1824550 Similar articles Select item 20099666 116. [Congenital hemolytic anemia due to glucose-6-phosphate dehydrogenase deficiency]. Mura M, Saidi R, Wolf A, Moalic JL, Oliver M.
Med Trop (Mars). 2009 Dec;69(6):551-5. Review. French. PMID: 20099666 Similar articles Select item 20701405 117. 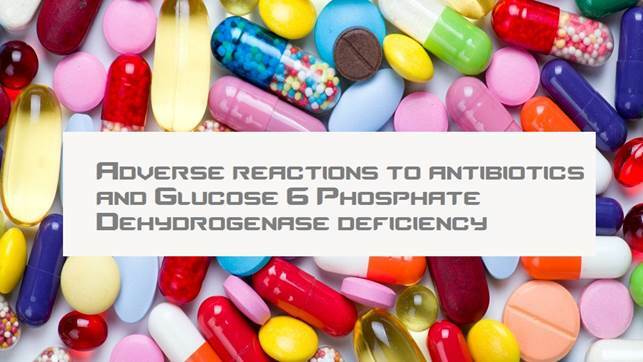 Medications and glucose-6-phosphate dehydrogenase deficiency: an evidence-based review. Youngster I, Arcavi L, Schechmaster R, Akayzen Y, Popliski H, Shimonov J, Beig S, Berkovitch M.
Drug Saf. 2010 Sep 1;33(9):713-26. doi: 10.2165/11536520-000000000-00000. Review. PMID: 20701405 Similar articles Select item 22938511 118. Red cell and platelet-derived microparticles are increased in G6PD-deficient subjects. Nantakomol D, Palasuwan A, Chaowanathikhom M, Soogarun S, Imwong M.
Eur J Haematol. 2012 Nov;89(5):423-9. doi: 10.1111/ejh.12010. Epub 2012 Oct 5. PMID: 22938511 Similar articles Select item 23537118 119.
von Seidlein L, Auburn S, Espino F, Shanks D, Cheng Q, McCarthy J, Baird K, Moyes C, Howes R, Ménard D, Bancone G, Winasti-Satyahraha A, Vestergaard LS, Green J, Domingo G, Yeung S, Price R.
Malar J. 2013 Mar 27;12:112. doi: 10.1186/1475-2875-12-112. Review. PMID: 23537118 Free PMC Article Similar articles Select item 25183336 120. 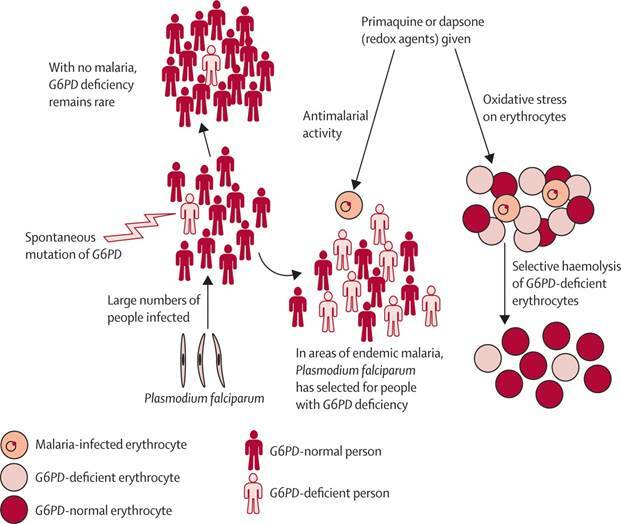 Glucose-6-phosphate dehydrogenase (G6PD) deficiency is associated with asymptomatic malaria in a rural community in Burkina Faso. Ouattara AK, Bisseye C, Bazie BV, Diarra B, Compaore TR, Djigma F, Pietra V, Moret R, Simpore J.
Asian Pac J Trop Biomed. 2014 Aug;4(8):655-8. doi: 10.12980/APJTB.4.2014APJTB-2014-0100. Redox and energetic state of red blood cells in G6PD deficiency, heterozygous beta-thalassemia and the combination of both. Magnani M, Stocchi V, Canestrari F, Cucchiarini L, Stocchi O, Coppa GV, Felici L, Giorgi PL, Fornaini G.
PMID: 3096052 Similar articles Select item 28820691 122. Weppelmann TA, von Fricken ME, Wilfong TD, Aguenza E, Philippe TT, Okech BA. Am J Trop Med Hyg. 2017 Oct;97(4):1262-1270. doi: 10.4269/ajtmh.16-0714. Epub 2017 Aug 18. PMID: 28820691 Similar articles Select item 389162 123. In vitro correction of erythrocyte glucose 6-phosphate dehydrogenase (G6PD) deficiency. Morelli A, Benatti U, Salamino F, Sparatore B, Michetti M, Melloni E, Pontremoli S, De Flora A.
Arch Biochem Biophys. 1979 Oct 15;197(2):543-50. No abstract available. PMID: 389162 Similar articles Select item 22829586 124. Effects of glucose-6-phosphate dehydrogenase deficiency o­n the metabolic and cardiac responses to obesogenic or high-fructose diets. Hecker PA, Mapanga RF, Kimar CP, Ribeiro RF Jr, Brown BH, O'Connell KA, Cox JW, Shekar KC, Asemu G, Essop MF, Stanley WC. Am J Physiol Endocrinol Metab. 2012 Oct 15;303(8):E959-72. doi: 10.1152/ajpendo.00202.2012. Epub 2012 Jul 24. PMID: 22829586 Free PMC Article Similar articles Select item 28067620 125. Characterisation of the opposing effects of G6PD deficiency o­n cerebral malaria and severe malarial anaemia. Clarke GM, Rockett K, Kivinen K, Hubbart C, Jeffreys AE, Rowlands K, Jallow M, Conway DJ, Bojang KA, Pinder M, Usen S, Sisay-Joof F, Sirugo G, Toure O, Thera MA, Konate S, Sissoko S, Niangaly A, Poudiougou B, Mangano VD, Bougouma EC, Sirima SB, Modiano D, Amenga-Etego LN, Ghansah A, Koram KA, Wilson MD, Enimil A, Evans J, Amodu OK, Olaniyan S, Apinjoh T, Mugri R, Ndi A, Ndila CM, Uyoga S, Macharia A, Peshu N, Williams TN, Manjurano A, Sepúlveda N, Clark TG, Riley E, Drakeley C, Reyburn H, Nyirongo V, Kachala D, Molyneux M, Dunstan SJ, Phu NH, Quyen NN, Thai CQ, Hien TT, Manning L, Laman M, Siba P, Karunajeewa H, Allen S, Allen A, Davis TM, Michon P, Mueller I, Molloy SF, Campino S, Kerasidou A, Cornelius VJ, Hart L, Shah SS, Band G, Spencer CC, Agbenyega T, Achidi E, Doumbo OK, Farrar J, Marsh K, Taylor T, Kwiatkowski DP; MalariaGEN Consortium. Elife. 2017 Jan 9;6. pii: e15085. doi: 10.7554/eLife.15085. PMID: 28067620 Free PMC Article Similar articles Select item 25234071 126. Mangat C, Inoue S, Saah E, Sharman M.
BMJ Case Rep. 2014 Sep 18;2014. pii: bcr2014203631. doi: 10.1136/bcr-2014-203631. PMID: 25234071 Free PMC Article Similar articles Select item 28258653 127. Comparison of quantitative and qualitative tests for glucose-6-phosphate dehydrogenase deficiency in the neonatal period. Keihanian F, Basirjafari S, Darbandi B, Saeidinia A, Jafroodi M, Sharafi R, Shakiba M.
Int J Lab Hematol. 2017 Jun;39(3):251-260. doi: 10.1111/ijlh.12618. Epub 2017 Mar 4. PMID: 28258653 Similar articles Select item 16680190 128. Reactivity of blood samples spotted o­nto filter papers in the WST-8 method for screening of G6PD deficiency. Arai M, Kosuge K, Kawamoto F, Matsuoka H.
Acta Med Okayama. 2006 Apr;60(2):127-34. PMID: 16680190 Free Article Similar articles Select item 5661360 129. Increased hydrogen peroxide levels in glucose 6-phosphate dehydrogenase deficient erythrocytes expose to acetylphenylhydrazine. Biochem Pharmacol. 1968 Jun;17(6):983-8. No abstract available. PMID: 5661360 Similar articles Select item 8860007 130. Molecular characterization of erythrocyte glucose-6-phosphate dehydrogenase deficiency in Al-Ain District, United Arab Emirates. Bayoumi RA, Nur-E-Kamal MS, Tadayyon M, Mohamed KK, Mahboob BH, Qureshi MM, Lakhani MS, Awaad MO, Kaeda J, Vulliamy TJ, Luzzatto L.
PMID: 8860007 Similar articles Select item 25714942 131. Antimalarial NADPH-Consuming Redox-Cyclers As Superior Glucose-6-Phosphate Dehydrogenase Deficiency Copycats. Bielitza M, Belorgey D, Ehrhardt K, Johann L, Lanfranchi DA, Gallo V, Schwarzer E, Mohring F, Jortzik E, Williams DL, Becker K, Arese P, Elhabiri M, Davioud-Charvet E.
Antioxid Redox Signal. 2015 May 20;22(15):1337-51. doi: 10.1089/ars.2014.6047. Epub 2015 Apr 14. PMID: 25714942 Free PMC Article Similar articles Select item 23534950 132. 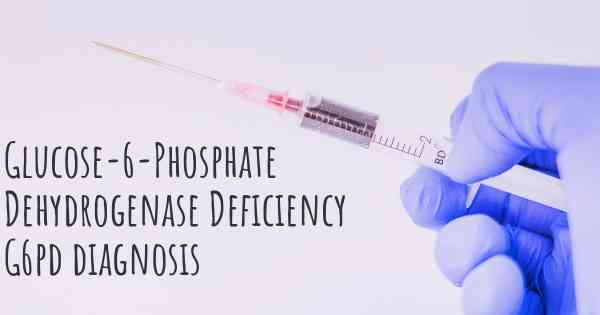 Glucose-6-phosphate dehydrogenase deficiency: disadvantages and possible benefits. Manganelli G, Masullo U, Passarelli S, Filosa S.
Cardiovasc Hematol Disord Drug Targets. 2013 Mar 1;13(1):73-82. Review. PMID: 23534950 Similar articles Select item 23815264 133. Glucose-6-phosphate dehydrogenase deficiency in transfusion medicine: the unknown risks. Francis RO, Jhang JS, Pham HP, Hod EA, Zimring JC, Spitalnik SL. Vox Sang. 2013 Nov;105(4):271-82. doi: 10.1111/vox.12068. Epub 2013 Jul 2. Review. PMID: 23815264 Free PMC Article Similar articles Select item 3359942 134. Tolerability of tiaprofenic acid in patients with glucose-6-phosphate dehydrogenase (G6PD) deficiency. Mela Q, Perpignano G, Ruggiero V, Longatti S.
PMID: 3359942 Similar articles Select item 23241320 135. Impact of glucose-6-phosphate dehydrogenase deficiency o­n the pathophysiology of cardiovascular disease. Hecker PA, Leopold JA, Gupte SA, Recchia FA, Stanley WC. Am J Physiol Heart Circ Physiol. 2013 Feb 15;304(4):H491-500. doi: 10.1152/ajpheart.00721.2012. Epub 2012 Dec 15. Review. PMID: 23241320 Free PMC Article Similar articles Select item 25671784 136. African glucose-6-phosphate dehydrogenase alleles associated with protection from severe malaria in heterozygous females in Tanzania. Manjurano A, Sepulveda N, Nadjm B, Mtove G, Wangai H, Maxwell C, Olomi R, Reyburn H, Riley EM, Drakeley CJ, Clark TG; MalariaGEN Consortium. PLoS Genet. 2015 Feb 11;11(2):e1004960. doi: 10.1371/journal.pgen.1004960. eCollection 2015 Feb.
PMID: 25671784 Free PMC Article Similar articles Select item 3387032 137. 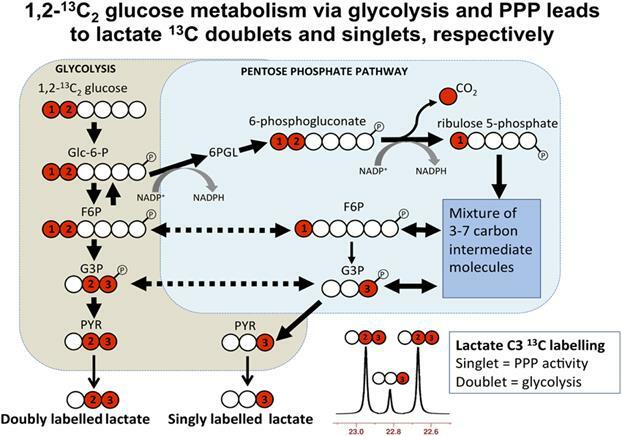 Hexose monophosphate shunt enzymes in lung tumors from normal and glucose-6-phosphate-dehydrogenase-deficient subjects. Dessì S, Batetta B, Cherchi R, o­nnis R, Pisano M, Pani P.
PMID: 3387032 Similar articles Select item 9158663 138. Effect of glucose-6-phosphate dehydrogenase deficiency o­n neutrophil function. Ardati KO, Bajakian KM, Tabbara KS. PMID: 9158663 Similar articles Select item 29240263 139. Cytochemical flow analysis of intracellular G6PD and aggregate analysis of mosaic G6PD expression. Kalnoky M, Bancone G, Kahn M, Chu CS, Chowwiwat N, Wilaisrisak P, Pal S, LaRue N, Leader B, Nosten F, Domingo GJ. Eur J Haematol. 2018 Mar;100(3):294-303. doi: 10.1111/ejh.13013. Epub 2018 Jan 15. PMID: 29240263 Free PMC Article Similar articles Select item 27858887 140. Glucose-6-phosphate dehydrogenase deficiency and risk of colorectal cancer in Northern Sardinia: A retrospective observational study. Dore MP, Davoli A, Longo N, Marras G, Pes GM. Recombinant human G6PD for quality control and quality assurance of novel point-of-care diagnostics for G6PD deficiency. Kahn M, LaRue N, Zhu C, Pal S, Mo JS, Barrett LK, Hewitt SN, Dumais M, Hemmington S, Walker A, Joynson J, Leader BT, Van Voorhis WC, Domingo GJ. PLoS o­ne. 2017 May 26;12(5):e0177885. doi: 10.1371/journal.pone.0177885. eCollection 2017. PMID: 28552983 Free PMC Article Similar articles Select item 5502092 142. The hemolytic process of viral hepatitis in children with normal or deficient glucose-6-phosphate dehydrogenase activity. J Pediatr. 1970 Sep;77(3):422-30. No abstract available. PMID: 5502092 Similar articles Select item 29305344 143.
Review and drug therapy implications of glucose-6-phosphate dehydrogenase deficiency. 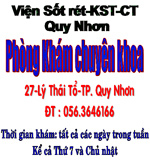 Am J Health Syst Pharm. 2018 Feb 1;75(3):97-104. doi: 10.2146/ajhp160961. Epub 2018 Jan 5. Review. PMID: 29305344 Similar articles Select item 27824927 144. Glucose-6-Phosphate Dehydrogenase Deficiency and Physical and Mental Health until Adolescence. Kwok MK, Leung GM, Schooling CM. PLoS o­ne. 2016 Nov 8;11(11):e0166192. doi: 10.1371/journal.pone.0166192. eCollection 2016. PMID: 27824927 Free PMC Article Similar articles Select item 23672460 145. Brain glucose-6-phosphate dehydrogenase protects against endogenous oxidative DNA damage and neurodegeneration in aged mice. Jeng W, Loniewska MM, Wells PG. ACS Chem Neurosci. 2013 Jul 17;4(7):1123-32. doi: 10.1021/cn400079y. Epub 2013 May 14. PMID: 23672460 Free PMC Article Similar articles Select item 26738565 146. 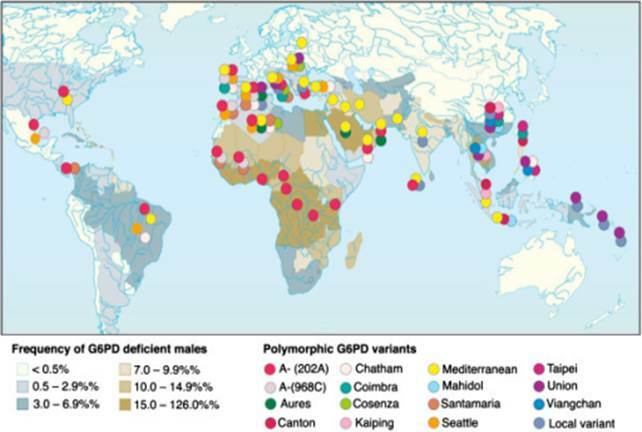 Heterogeneous alleles comprising G6PD deficiency trait in West Africa exert contrasting effects o­n two major clinical presentations of severe malaria. Shah SS, Rockett KA, Jallow M, Sisay-Joof F, Bojang KA, Pinder M, Jeffreys A, Craik R, Hubbart C, Wellems TE, Kwiatkowski DP; MalariaGEN Consortium. Malar J. 2016 Jan 7;15:13. doi: 10.1186/s12936-015-1045-0. PMID: 26738565 Free PMC Article Similar articles Select item 1316704 147. Prenatal diagnosis of glucose-6-phosphate-dehydrogenase deficiency. Beutler E, Kuhl W, Fox M, Tabsh K, Crandall BF. PMID: 1316704 Similar articles Select item 7147750 148. [The significance of Tönz's test in detecting patients with glucose-6-phosphate dehydrogenase deficiency]. Vnitr Lek. 1982 Oct;28(10):991-6. Czech. No abstract available. PMID: 7147750 Similar articles Select item 28538406 149. Dexmedetomidine-based intravenous anesthesia of a pediatric patient with glucose-6-phosphate dehydrogenase (G6PD) deficiency: A case report. Takahashi N, Ogawa T, Wajima Z, Omi A. Medicine (Baltimore). 2017 May;96(21):e6986. doi: 10.1097/MD.0000000000006986. PMID: 28538406 Free PMC Article Similar articles Select item 4990106 150. The ratio between normal and sensitive erythrocytes in heterozygous glucose-6-phosphate dehydrogenase deficient women. Panizon F, Zacchello F, Sartori E, Addis S.
Acta Haematol. 1970;43(5):291-5. No abstract available. PMID: 4990106 Similar articles Select item 2789354 151. Glucose 6-phosphate dehydrogenase deficiency both in red blood cells and lenses of the normal and cataractous native population of Cukurova, the southern part of Turkey. Part I.
Yüregir G, Varinli I, Donma O.
PMID: 2789354 Similar articles Select item 2760630 152. Bresolin N, Bet L, Moggio M, Meola G, Fortunato F, Comi G, Adobbati L, Geremia L, Pittalis S, Scarlato G.
PMID: 2760630 Similar articles Select item 11376568 153. Poor prognosis in nasopharyngeal cancer patients with low glucose-6-phosphate-dehydrogenase activity. Cheng AJ, Chiu DT, See LC, Liao CT, Chen IH, Chang JT. Jpn J Cancer Res. 2001 May;92(5):576-81. PMID: 11376568 Free PMC Article Similar articles Select item 28382932 154. Association of glucose-6-phosphate dehydrogenase deficiency and malaria: a systematic review and meta-analysis. Mbanefo EC, Ahmed AM, Titouna A, Elmaraezy A, Trang NT, Phuoc Long N, Hoang Anh N, Diem Nghi T, The Hung B, Van Hieu M, Ky Anh N, Huy NT, Hirayama K.
Sci Rep. 2017 Apr 6;7:45963. doi: 10.1038/srep45963. PMID: 28382932 Free PMC Article Similar articles Select item 7633942 155. Increased induction of apoptosis in mononuclear cells of a glucose-6-phosphate dehydrogenase deficient patient. Efferth T, Fabry U, Glatte P, Osieka R.
J Mol Med (Berl). 1995 Jan;73(1):47-9. PMID: 7633942 Similar articles Select item 9604591 156. Sickle cell disease in Bahrain: coexistence and interaction with glucose-6-phosphate dehydrogenase (G6PD) deficiency. Mohammad AM, Ardatl KO, Bajakian KM. J Trop Pediatr. 1998 Apr;44(2):70-2. doi: 10.1093/tropej/44.2.70. PMID: 9604591 Similar articles Select item 1638753 157. 13C and 31P NMR studies of glucose and 2-deoxyglucose metabolism in normal and enzyme-deficient human erythrocytes. Ferretti A, Bozzi A, Di Vito M, Podo F, Strom R.
Clin Chim Acta. 1992 Jun 15;208(1-2):39-61. PMID: 1638753 Similar articles Select item 3939066 158. Hypoglycemia-induced hemolysis in glucose-6-phosphate dehydrogenase deficiency. Shalev O, Eliakim R, Lugassy GZ, Menczel J.
PMID: 3939066 Similar articles Select item 28235023 159. Markers of oxidative stress in umbilical cord blood from G6PD deficient African newborns. Stadem PS, Hilgers MV, Bengo D, Cusick SE, Ndidde S, Slusher TM, Lund TC. PLoS o­ne. 2017 Feb 24;12(2):e0172980. doi: 10.1371/journal.pone.0172980. eCollection 2017. PMID: 28235023 Free PMC Article Similar articles Select item 10403541 160. G6PD activity and gene expression in leukemic cells from G6PD-deficient subjects. Batetta B, Pulisci D, Bonatesta RR, Sanna F, Piras S, Mulas MF, Spano O, Putzolu M, Broccia G, Dessì S.
Cancer Lett. 1999 Jun 1;140(1-2):53-8. 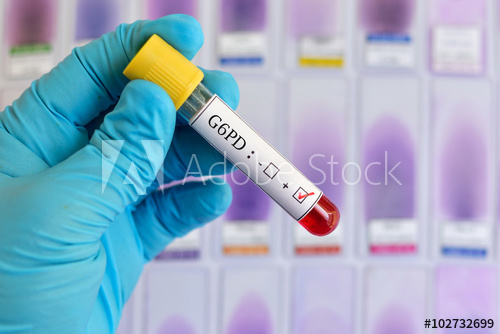 G-6PD loading of G-6PD-deficient erythrocytes. Gerli GC, Agostoni A, Fiorelli G.
PMID: 639932 Similar articles Select item 27081765 162. Adverse effects of herbal or dietary supplements in G6PD deficiency: a systematic review. Lee SW, Lai NM, Chaiyakunapruk N, Chong DW. Br J Clin Pharmacol. 2017 Jan;83(1):172-179. doi: 10.1111/bcp.12976. Epub 2016 May 21. Review. PMID: 27081765 Free PMC Article Similar articles Select item 25678925 163. 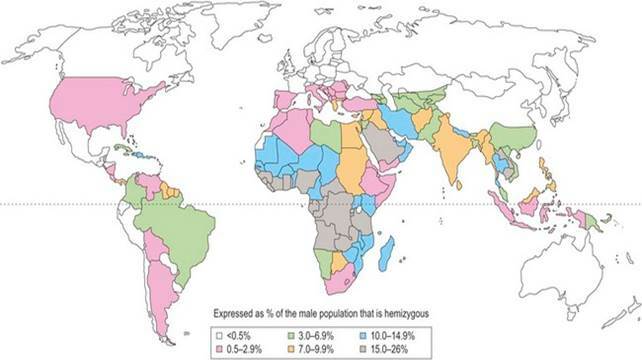 The Rate of Plasmodium vivax Infectivity within Gloucose-6-Phosphate Dehydrogenase (G6PD) Deficient Individuals in Hormozgan Province, Iran. Ebrahimipour M, Nateghpour M, Hajjaran H, Edrissian G, Jalali M, Raeisi A, Motevalli Haghi A, Farivar L, Khodadadi M, Rahimi-Froushani A.
Iran J Parasitol. 2014 Sep;9(3):402-6. PMID: 25678925 Free PMC Article Similar articles Select item 5762140 164. On the heterogeneity of hemoglobin from normal and glucose-6-phosphate dehydrogenase-deficient individuals. Clin Chim Acta. 1969 Jan;23(1):67-73. No abstract available. PMID: 5762140 Similar articles Select item 9212 165. Modification of neonatal screening test for erythrocyte glucose-6-phosphate dehydrogenase deficiency. Schoos-Barbette S, Dodinval-Versie J, Lambotte C.
Clin Chim Acta. 1976 Sep 6;71(2):239-44. PMID: 9212 Similar articles Select item 35 166. The effect of o-salicylate upon pentose phosphate pathway activity in normal and G6PD-deficient red cells. Br J Haematol. 1975 Jun;30(2):225-31. PMID: 35 Similar articles Select item 28523859 167. Glucose-6-phosphate dehydrogenase deficiency induced haemolysis in a woman with newly diagnosed diabetes after normalisation of hyperglycaemia. Diabet Med. 2017 Sep;34(9):1318-1321. doi: 10.1111/dme.13385. Review. PMID: 28523859 Similar articles Select item 28197721 168. Glucose-6-phosphate dehydrogenase deficiency and risk of diabetes: a systematic review and meta-analysis. Lai YK, Lai NM, Lee SW.
Ann Hematol. 2017 May;96(5):839-845. doi: 10.1007/s00277-017-2945-6. Epub 2017 Feb 14. Review. PMID: 28197721 Similar articles Select item 6885055 169. Population screening for glucose-6-phosphate dehydrogenase deficiency o­n the Baleares. Miguel A, Ramon M, Petitpierre E, Goos CM, Vermeesch-Markslag AM, Vermorken AJ. PMID: 6885055 Similar articles Select item 24763814 170. 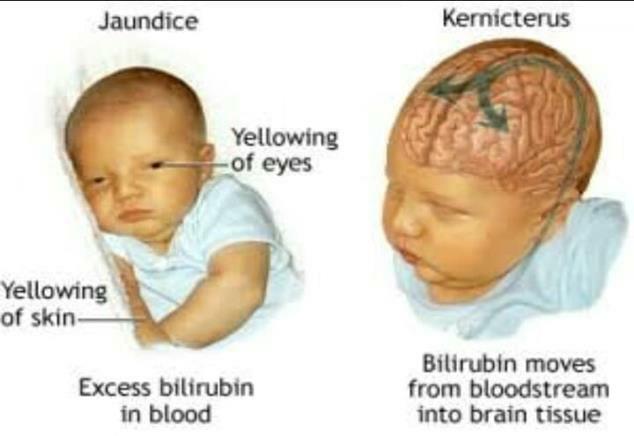 Prevention of Kernicterus in South Asia: role of neonatal G6PD deficiency and its identification. Indian J Pediatr. 2014 Jun;81(6):599-607. doi: 10.1007/s12098-014-1410-y. Epub 2014 Apr 26. Review. PMID: 24763814 Similar articles Select item 18392752 171. Glucose-6-phosphate dehydrogenase deficiency protects against coronary heart disease. Meloni L, Manca MR, Loddo I, Cioglia G, Cocco P, Schwartz A, Muntoni S, Muntoni S.
J Inherit Metab Dis. 2008 Jun;31(3):412-7. doi: 10.1007/s10545-008-0704-5. Epub 2008 Apr 4. PMID: 18392752 Similar articles Select item 23874116 172. Glucose-6-phosphate dehydrogenase deficiency among children attending the Emergency Paediatric Unit of Usmanu Danfodiyo University Teaching Hospital, Sokoto, Nigeria. Isaac I, Mainasara A, Erhabor O, Omojuyigbe S, Dallatu M, Bilbis L, Adias T.
Int J Gen Med. 2013 Jul 9;6:557-62. doi: 10.2147/IJGM.S43757. Print 2013. PMID: 23874116 Free PMC Article Similar articles Select item 16737003 173. [Glucose-6-phosphate dehydrogenase (G6PD) deficiency--a cause of anaemia in pregnant women]. Pol Arch Med Wewn. 2003 Nov;110(5):1327-33. Polish. PMID: 16737003 Similar articles Select item 26706684 174. Is glucose-6-phosphate dehydrogenase deficiency more prevalent in Carrion's disease endemic areas in Latin America? Mazulis F, Weilg C, Alva-Urcia C, Pons MJ, Del Valle Mendoza J.
Asian Pac J Trop Med. 2015 Dec;8(12):1079-1080. doi: 10.1016/j.apjtm.2015.11.014. Epub 2015 Nov 14. PMID: 26706684 Free Article Similar articles Select item 3967893 175. Prenatal selection and fetal development disturbances occurring in carriers of G6PD deficiency. PMID: 3967893 Similar articles Select item 4961853 176. [Transformation of drug-sensitive erythropathy into chronic hemolytic anemia in glucose-6-phosphatedehydrogenase deficiency]. Acta Haematol. 1967;37(4):206-16. German. No abstract available. PMID: 4961853 Similar articles Select item 28852037 177. The G6PD flow-cytometric assay is a reliable tool for diagnosis of G6PD deficiency in women and anaemic subjects. Bancone G, Kalnoky M, Chu CS, Chowwiwat N, Kahn M, Malleret B, Wilaisrisak P, Rénia L, Domingo GJ, Nosten F.
Sci Rep. 2017 Aug 29;7(1):9822. doi: 10.1038/s41598-017-10045-2. PMID: 28852037 Free PMC Article Similar articles Select item 24872634 178. Periodontal considerations in a patient with glucose-6-phosphate dehydrogenase deficiency with associated pancytopenia: A rare case report. Gupta H, Arora R, Kamboj M.
J Indian Soc Periodontol. 2014 Mar;18(2):229-31. doi: 10.4103/0972-124X.131334. Glucose 6-phosphate dehydrogenase deficiency and cataract of patients in northern Sardinia. Meloni T, Carta F, Forteleoni G, Carta A, Ena F, Meloni GF. Am J Ophthalmol. 1990 Dec 15;110(6):661-4. PMID: 2248331 Similar articles Select item 28627690 180. Data mining and pathway analysis of glucose-6-phosphate dehydrogenase with natural language processing. Chen L, Zhang C, Wang Y, Li Y, Han Q, Yang H, Zhu Y.
Mol Med Rep. 2017 Aug;16(2):1900-1910. doi: 10.3892/mmr.2017.6785. Epub 2017 Jun 15. Performance of BinaxNOW G6PD deficiency point-of-care diagnostic in P. vivax-infected subjects. Osorio L, Carter N, Arthur P, Bancone G, Gopalan S, Gupta SK, Noedl H, Kochar SK, Kochar DK, Krudsood S, Lacerda MV, Llanos-Cuentas A, Rueangweerayut R, Srinivasan R, Treiber M, Möhrle JJ, Green J. Am J Trop Med Hyg. 2015 Jan;92(1):22-7. doi: 10.4269/ajtmh.14-0298. Epub 2014 Nov 10. 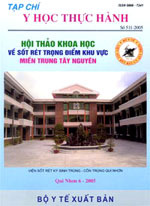 PMID: 25385861 Free PMC Article Similar articles Select item 4098913 182. Lancet. 1970 Dec 26;2(7687):1347-8. No abstract available. PMID: 4098913 Similar articles Select item 28985689 183. Effect of age, period and birth-cohort o­n the frequency of glucose-6-phosphate dehydrogenase deficiency in Sardinian adults. Pes GM, Errigo A, Bitti A, Dore MP. Ann Med. 2018 Feb;50(1):68-73. doi: 10.1080/07853890.2017.1390247. Epub 2017 Oct 16. PMID: 28985689 Similar articles Select item 28107969 184. A new paper-based analytical device for detection of Glucose-6-phosphate dehydrogenase deficiency. Kaewarsa P, Laiwattanapaisal W, Palasuwan A, Palasuwan D.
Talanta. 2017 Mar 1;164:534-539. doi: 10.1016/j.talanta.2016.12.026. Epub 2016 Dec 11. PMID: 28107969 Similar articles Select item 29339739 185. Newborn screening of glucose-6-phosphate dehydrogenase deficiency in Guangxi, China: determination of optimal cutoff value to identify heterozygous female neonates. Fu C, Luo S, Li Q, Xie B, Yang Q, Geng G, Lin C, Su J, Zhang Y, Wang J, Qin Z, Luo J, Chen S, Fan X.
Sci Rep. 2018 Jan 16;8(1):833. doi: 10.1038/s41598-017-17667-6. PMID: 29339739 Free PMC Article Similar articles Select item 2554630 186. Effect of desferrioxamine B o­n hemolysis in glucose-6-phosphate dehydrogenase deficiency. Khalifa AS, el-Alfy MS, Mokhtar G, Fakeir AA, Khazbak MA, el-Baz F, el-Kholy M.
PMID: 2554630 Similar articles Select item 11599394 187. [Influence of huanglian and berberine o­n the erythrocytic osmotic fragilitas of experimental glucose-6-phosphate dehydrogenase deficiency in rats]. Zhongguo Zhong Yao Za Zhi. 1998 Sep;23(9):562-4, back cover. Chinese. PMID: 11599394 Similar articles Select item 11117431 188. Differentiation of hair growth cycle from scalp hair roots for the diagnosis of glucose-6-phosphate dehydrogenase deficiency in neonates. Lin SY, Niu DM, Li MJ, Tu CP, Lin HL. J Inherit Metab Dis. 2000 Nov;23(7):693-704. PMID: 11117431 Similar articles Select item 28078493 189. False-Positive Newborn Screen Using the Beutler Spot Assay for Galactosemia in Glucose-6-Phosphate Dehydrogenase Deficiency. Stuhrman G, Perez Juanazo SJ, Crivelly K, Smith J, Andersson H, Morava E.
JIMD Rep. 2017;36:1-5. doi: 10.1007/8904_2016_34. Epub 2017 Jan 12. PMID: 28078493 Free PMC Article Similar articles Select item 25762879 190. Severe Malaria Complicated by G6PD Deficiency in a Pediatric Tanzanian Immigrant. Damhoff HN, Kuhn RJ, Stadler LP. J Pediatr Pharmacol Ther. 2014 Oct-Dec;19(4):325-34. doi: 10.5863/1551-6776-19.4.325. PMID: 25762879 Free PMC Article Similar articles Select item 3221843 191. The suitability of saliva for detection of glucose-6-phosphate dehydrogenase deficiency. Beamont AH, Miguel A, Goos CM, Vermeesch-Markslag AM, Hermans A, Vermorken AJ. PMID: 3221843 Similar articles Select item 27074581 192. Blood smear, a key diagnostic tool in hematology: Lessons from two cases of acute hemolysis in previously undiagnosed G6PD deficiency. Veneri D, Facchinelli D, Vianello A, Ambrosetti A, Cantini M, Olivieri O, Dima F, De Franceschi L.
Am J Hematol. 2016 Nov;91(11):1165-1166. doi: 10.1002/ajh.24385. Epub 2016 May 11. No abstract available. PMID: 27074581 Free Article Similar articles Select item 22393475 193. A novel cytofluorometric assay for the detection and quantification of glucose-6-phosphate dehydrogenase deficiency. Shah SS, Diakite SA, Traore K, Diakite M, Kwiatkowski DP, Rockett KA, Wellems TE, Fairhurst RM. Sci Rep. 2012;2:299. doi: 10.1038/srep00299. Epub 2012 Mar 5. PMID: 22393475 Free PMC Article Similar articles Select item 3232211 194. G6PD deficiency and breast cancer. Forteleoni G, Argiolas L, Farris A, Ferraris AM, Gaetani GF, Meloni T.
PMID: 3232211 Similar articles Select item 8234007 195. [Glucose-6-phosphate dehydrogenase deficiency in erythrocytes observed in two cases]. Przybyłowski J, Kłos M, Kisiel E, Mierzwa-Slefarska H.
Pol Arch Med Wewn. 1993 Jul;90(1):72-7. Polish. PMID: 8234007 Similar articles Select item 29738562 196. A vegetable-induced hemolytic crisis in a G6PD deficient person: a case report. Ehelepola NDB, Abayagunawardana AN, Sudusinghe TN. BMC Res Notes. 2018 Mar 14;11(1):179. doi: 10.1186/s13104-018-3286-9. PMID: 29540210 Free PMC Article Similar articles Select item 29369491 202.